TOP 30 Synth-Based Albums/EPs from 2017! This list was very hard to do. There were so many amazing albums, EP’s, and singles released in 2017. In order for an album to qualify, it had to be in my library. I get music a lot of ways. A lot of times promoters, record labels, and artists send me their music so I can play the music. A lot of times I have to buy the albums. Sometimes the artists offer the albums up for free on their web page, Bandcamp, or other sources. All those sources resulted in having 4,396 unique album/EP/single entries from 2017 that I had to go through. That’s a daunting number and it should be noted that there’s no way I have all the new music released in 2017! There is no doubt in my mind that I missed some new music that may have ended up on this list if I had it in my library. In order for an album to qualify it had to be new material from the musician/band. So the first thing I did was remove any remix albums. The second thing I did was remove any compilation/best of/greatest hits albums. The third thing I did was remove any singles where the song was part of a later or earlier album. Doing those three things dwindled the number of unique entries to 3,477. Still a daunting task. Next step was to go through each of those almost 3,500 entries and rate them from 1 to 10. Then I deleted everything that I rated 8 or below. Entries required a 9 or 10 to make it to next round. This processes narrowed the unique entries to 76. I then re-rated the remaining 76 entries with a much stricter ear. After the re-rating I removed anything below a 9. That left me with 47 unique entries. Then I had to do it again until I got down to 40 entries. At this point, removing anyone from the list physically hurt my heart. The amount of awesome goodness on that list of 47 and 40 was painful as I removed one after another. Now that I had it down to 40, I had to remove 10 more, who are the honorable mentions. As hard as it was getting down to 40, removing those 10 more was even more difficult! Music is subjective. There is a really good chance that your list would be completely different from mine. I did not use any criteria like record sales, listening stats, or anything that would require me to hire someone with a Master’s Degree in musicology. Do I want to listen to this album on repeat or just once and listen to a different album? Are the majority of the songs on the album listenable? The more I wanted to listen to an album on repeat and the more songs on it that were listenable, the higher the rating it got (weighted for singles and EP’s of course). Narrowing those down to just 40/30 was a lot harder than I thought it was going to be for sure. I am sure that I will get a lot of “But what about Band A and album B? How could you not list those?” See #1. Music is subjective to the listener. There was a lot of amazing new music put out in 2017. Let’s hope 2018 is just as awesome! Suzanne Ciani, a New Age synth icon! 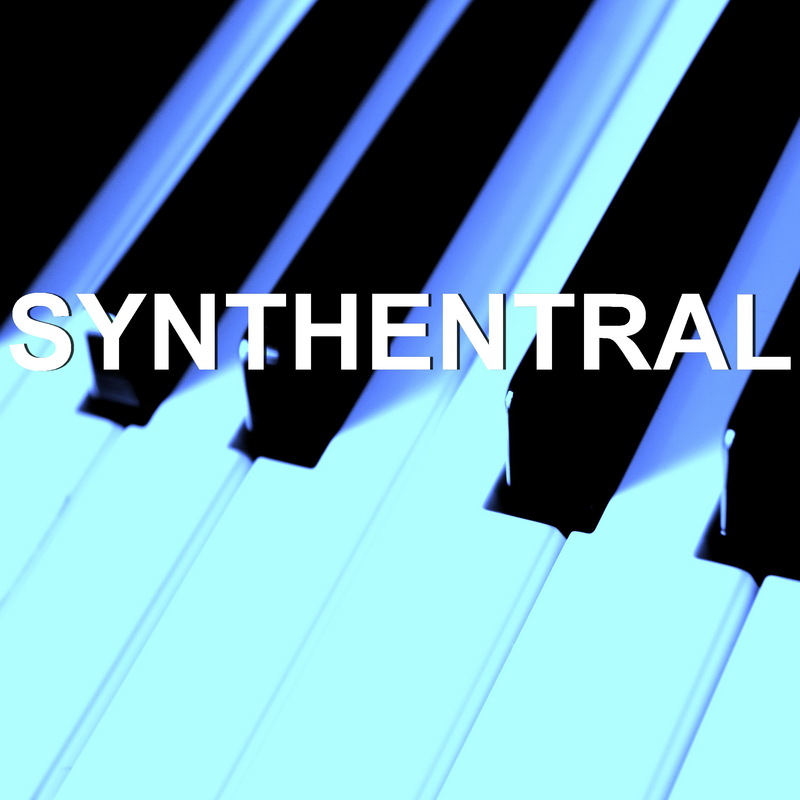 I love most everything synth-based, especially Synthpop, Futurepop, EBM, Industrial, Industrial Dance, Synthwave, Darkwave, etc. Hell, I even like some synth-based New Age music (in other words, not Yanni). But you know what I really like? Those genres with women vocalists! So it’s music time with women vocalists (and musicians) in the Synthpop, Futurepop, EMB, Industrial, and Darkwave world! I didn’t realize there were so many until I actually started thinking about it. There are so many I’ve had to break this up! So here is Volume 5: O to R! Parralox is a busy band for sure. Original music, tons of amazing covers, a radio show (Neon Nights), and they go out of their way to share other awesome synth music to their fans. They are a fan’s band for sure! So check them out when you get the chance. Can’t have a women of synth list without Poeme Electronique! I love most everything synth-based, especially Synthpop, Futurepop, EBM, Industrial, Industrial Dance, Synthwave, Darkwave, etc. Hell, I even like some synth-based New Age music (in other words, not Yanni). But you know what I really like? Those genres with women vocalists! So it’s music time with women vocalists (and musicians) in the Synthpop, Futurepop, EMB, Industrial, and Darkwave world! I didn’t realize there were so many until I actually started thinking about it. There are so many I’ve had to break this up! So here is Volume 4: K to N! SONG: Can We Change the Dream? I love most everything synth-based, especially Synthpop, Futurepop, EBM, Industrial, Industrial Dance, Synthwave, Darkwave, etc. Hell, I even like some synth-based New Age music (in other words, not Yanni). But you know what I really like? Those genres with women vocalists! So it’s music time with women vocalists (and musicians) in the Synthpop, Futurepop, EMB, Industrial, and Darkwave world! I didn’t realize there were so many until I actually started thinking about it. There are so many I’ve had to break this up! So here is Volume 3: F to J! Without a doubt my favorite local band here in Austin. The genius musical talents of Mike Peña, the awesome percussion work of @Shawnie Doogans, and the brilliant and wrenching (as in tugs on your soul) vocals of Lisa Perkins make for an amazing combination. If you live in Austin keep an eye out for this up-and-coming band who recently opened for Assemblage 23. And go buy their album! You won’t regret it. It’s a nonstop barrage of awesomeness and synth magic. Oh, and they just released a cover Journey’s “Who’s Crying Now?” that’s beautifully tragic and gloriously magical at the same time, so give that a listen as well. Such an influential band in the synth-based music world (even to this day)! This is definitely a band that cannot be left off any Women of Synth list (even if the women vocalist were often background vocals for the lead male vocal)! Wendy Carlos working on the music from Disney’s TRON. I love most everything synth-based, especially Synthpop, Futurepop, EBM, Industrial, Industrial Dance, Synthwave, Darkwave, etc. Hell, I even like some synth-based New Age music (in other words, not Yanni). But you know what I really like? Those genres with women vocalists! So it’s music time with women vocalists in the Synthpop, Futurepop, EMB, Industrial, and Darkwave world! I didn’t realize there were so many until I actually started thinking about it. There are so many I’ve had to break this up! So here is Volume 2: C to E! Ego Likeness are currently on tour with Adoration Destroyed and will be at Elysium Austin on 11/12, so come out for two great bands! What list of women in synth would be complete without the amazing vocals of Annie Lennox?!?!?!? !